Artificial intelligence is changing everything, and Seattle may become the hub for key elements of it. This article appears in print in the April 2018 issue. Click here for a free subscription. Artificial intelligence (AI) promises to revolutionize virtually every sector of the economy —from automobile manufacturing to health care delivery to building maintenance. And the Seattle region’s prominent role in cloud computing — a key driver in AI’s widespread use — means the technology is becoming as prominent here as damp shoes. AI and its subset, machine learning, have been so much in the news that one could be excused for dismissing them as buzzwords. Virtually every Seattle company is eager to show how it is deploying the technology. Redfin uses it to match real estate buyers with the right real estate agents. Avvo matches lawyers with people who have legal problems. Xevo provides personalized entertainment systems for cruise passengers. Optio3 detects, secures and manages the thousands of electronic devices that control climate and access in big buildings. And Blue Canoe Learning helps nonnative English speakers improve their pronunciation. It’s no wonder there’s huge demand here for people with AI skills. Type in “artificial intelligence” and “Seattle,” and Glassdoor will come up with more than 1,890 job listings at businesses running the gamut from Trupanion, the pet insurance company, to Versive, a cybersecurity firm. 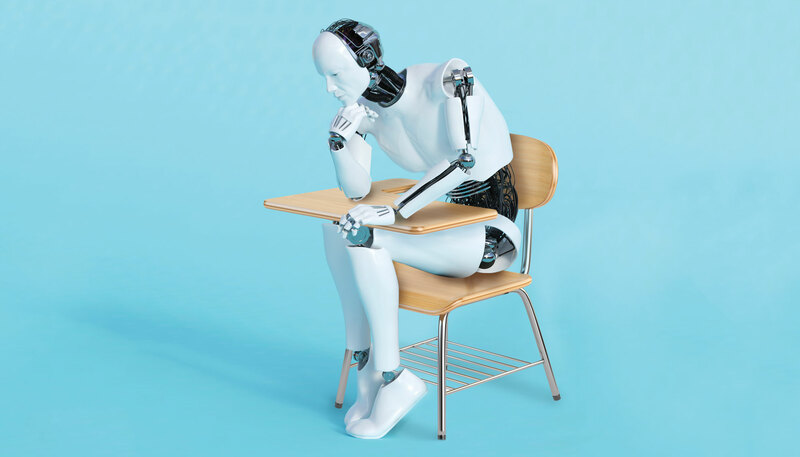 While many of the uses of AI today are relatively superficial, Etzioni believes the technology may be ready to make a particularly big splash soon in areas like transportation and biotech. Huge investments are being made to improve self-driving cars, for example, and many local startups have turned to AI to jump on that bandwagon. Spare5, which started out paying consumers to complete “microtasks,” such as sorting pictures for real estate postings, recently changed its name to Mighty AI. It now uses its community of microtaskers to tag images so AI systems like those used in self-driving cars can learn to recognize obstacles in the road. Echodyne, a Bellevue maker of pocket-size radars for drones and automobiles, is now working on using AI to better interpret data picked up by its radar. In February, Paul Allen pledged $125 million more to his namesake institute to purse research that will bring more “common sense” thinking to AI. Corporations with significant resources have long worked on AI and machine learning. Credit card companies have used the technology to tackle fraud. Boeing has drawn data from sensors embedded in the wings, engines and other parts of its aircraft to help predict and avoid equipment failure. But it wasn’t until the cloud made it easier and cheaper to gather, store and process the huge quantity of data required for AI systems to work effectively that use of AI technology exploded. Seattle’s dominant role in providing cloud services makes it particularly well positioned to be the leader in AI, Etzioni believes. Amazon and Microsoft, the world’s two largest cloud providers, are based in the Seattle area, and Google, another major player, focuses much of its cloud effort here. “The cloud/AI companies have substantial resources to invest,” says Matt McIlwain, managing director of the Madrona Venture Group, a Seattle-based venture finance firm with a focus on businesses working with the cloud, machine learning and intelligent apps. One key element driving the new surge in AI investments, says Mukesh Kumar, a managing director at the tech consulting firm Slalom, is the work being done, much of it in Seattle, to make it easier to analyze massive amounts of data. Steve Hugh, for example, is cofounder of Doodlebase, a Seattle startup that helps manufacturers organize difficult-to-access production line data so it’s easier to feed into AI systems. He envisions a manufacturer being able to analyze data from all the companies in its supply chain in real time so it can identify components that might cause quality issues long before they enter the production line. Still, the big three cloud companies are playing the key role in developing the infrastructure needed to tap the power of AI, and each of the big players is taking a different approach. Microsoft is helping partners such as Aurora Health Care and Premera Blue Cross develop intelligent virtual assistants and chatbots. Those systems will allow patients to ask health-related questions, learn the possible causes of their problems, find out what kind of doctor they should see and even set up an appointment. • Project Inner Eye: Uses machine learning technology to build tools to analyze 3D radiological images more quickly. A program might, for example, automate the process of identifying the precise location of tumors so radiation therapy could be targeted at cancer cells while avoiding healthy cells. • Project Premonition: Employs genomics and machine learning to collect data from mosquitoes. The insects are located by drones and collected by robotic traps that analyze and transmit data to the cloud. Machine learning helps determine which animals the mosquitoes bit and whether they carried West Nile or other diseases, providing first responders warning of the presence of pathogens in a region. • Project Hanover: The idea here is to help determine the combination of drug treatments that would work best for a patient based on a patient’s genome. In some cases, Microsoft is making direct investments in partner companies. In January, it announced a partnership with Seattle-based Adaptive Biotechnologies to develop a universal blood test that will screen for dozens or hundreds of diseases at a time, all by decoding the information in patients’ immune systems. Robins believes the AI and machine learning capabilities Microsoft brings to the partnership will allow the team to map a patient’s T-cell receptors — molecules on key immune system cells — to the attackers to which they bind. The idea is that once researchers know specifically which defender cells attach to which attacker cells, they can diagnose a patient’s illness by doing a blood test to determine which defender cells are present. The role of machine learning in all this is essentially one of processing massive amounts of data about the presence of defender and attacker cells in samples, matching the data to predictions about which defender cells attach to which attacker cells, and adjusting predictions based on actual test results. As that processing is refined, the software “learns” to make accurate diagnoses more quickly. Robins says the total cost of the project will be in the low hundreds of millions of dollars. “Microsoft is covering a significant portion of that through a combination of an equity investment into Adaptive and resource commitments,” he says. JOINING FORCES: Adaptive Biotechnologies CEO Chad Robins chose to partner with Microsoft on a project that will use machine learning to develop a universal blood test for many diseases. Photo by Hayley Young. Unlike Microsoft, Amazon, which declined requests for an interview, has not seemed interested in making equity investments in its web services clients. A Bloomberg report last November found that while Amazon had major efforts underway to implement AI for internal purposes, it lagged Microsoft and Google in developing industry-strength AI and machine learning tools for clients and company partners. Amazon appears intent on catching up, however. In 2016, it hired machine learning expert Alex Smola, a former Carnegie Mellon University professor, to expand staff to create machine learning tools for Amazon Web Services (AWS) customers. One such tool — Amazon Kinesis — allows users of AWS to collect, process and analyze real-time streaming data such as video, audio, clickstreams and Internet of Things telemetry. The “incidents” Cohen refers to are major trends or patterns that provide business insights. Sifting through data, the platform might uncover an anomaly that suggests fraud may be occurring. At the end of last year, Amazon launched the Machine Learning Competency program, aimed at developing expert consultants who can help companies with less AI expertise than Anodot to implement AI and machine learning in their products and services offered through AWS. Amazon also launched SageMaker, a service that helps developers build, train and host machine learning models. Like Amazon, Google has long worked on developing AI and machine learning capabilities for its own internal purposes, most notably for its search engine and its project to develop self-driving vehicles. But it has also focused on developing machine learning tools for its cloud service customers. In 2015, Google unveiled TensorFlow, an open-source code library for programmers building neural networks, statistical models and algorithms that can be trained to help solve complex problems. In 2016, it introduced the Google Cloud Machine Learning Engine, a managed service that lets developers build machine learning models using the TensorFlow framework. Like Microsoft, Google hasn’t shied away from resource-sharing partnerships, including making equity investments in companies developing AI products and services. Last year, Google launched Gradient Ventures, an investment fund focused on startups developing AI. By June, Gradient Ventures had invested in at least four AI businesses. Google declined to offer information about the size of its investments or any other details about Gradient Ventures. Reportedly, the fund is staffed with engineers familiar with AI technologies and is managed by Anna Patterson, previously Google’s VP of engineering for AI. Google also announced a partnership in October 2017 with Rolls-Royce to create self-learning autonomous ships using Google’s Cloud Machine Learning Engine. Etzioni says the AI projects being championed by Amazon, Microsoft and Google are only the beginning of what he expects to be a transformational technology that provides a further boost to the region’s economy. It’s not just the critical mass of AI expertise and the presence of so many cloud computing companies that makes Seattle such a fertile place for the technology. It’s also geographical proximity of those players to so many other important industry sectors. Robins says this proximity greases the skids for developers, making it easy for staff to go back and forth between Adaptive Biotechnologies offices and the Microsoft campus. Connections in the broader community also encourage cooperation. The fact that Microsoft CEO Satya Nadella and Adaptive’s lead director, Peter Neupert, are on the board of the Fred Hutchinson Cancer Research Center helped facilitate early contact between the companies.